Like any international move, Moving to Kuwait from USA requires a little preparation. A move to a new location can be a daunting experience. So it’s always useful to have a little information about your destination upfront. Intlmovers is a great way of finding international moving companies that can help you with your international Moving to Kuwait from USA. Using Intlmovers is one of the most convenient methods of finding the best mover to meet your needs. You can save both time and money. Intlmovers allows you to compare quotes quickly and easily from up to six international moving companies at once! The movers have years of experience with Moving to Kuwait from USA. 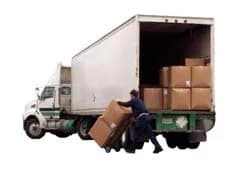 They have contacts in Kuwait which can make your removal cheaper. Kuwait is an Arabic speaking country on the north east of the Arabian Peninsula. It covers a land area of nearly 18,000 square kilometres and has a population of nearly four million people. The capital city and largest city in Kuwait is Kuwait City. Nationals from the Gulf Cooperation Council (GCC) have a right to enter and live in Kuwait without undertaking any special requirements. The member countries of the GCC are Saudi Arabia, Kuwait, Bahrain, Qatar, United Arab Emirates, Oman and Yemen. A visitor’s visa is available for arrivals for stays of up to 30 days in Kuwait when holding a valid passport from the list of 34 qualifying countries, which include Australia, Canada, Ireland, New Zealand, USA and most members of the European Union. Note that you may be refused entry in to Kuwait if you have an Israeli visa in your passport, an Israeli border stamp in your passport or an Egyptian or Jordanian border stamp in your passport that was issued by an office bordering with Israel. If you wish to live permanently in Kuwait, expats that are not GCC citizens must have an ‘iqama’, which is the residence permit for Kuwait. The three main types are work visas, domestic and dependent visas. These all require the person to have a sponsor. It is possible for an expat to sponsor his own residence, with or without being permitted to work, if he has lived in Kuwait for many years and is able to prove their financial stability. Always confirm with your local embassy as to the most up to date information regarding travel and visa requirements for your intended stay in Kuwait. Arranging the correct approvals and being well prepared is an important obligation of any type of international travel. There are a lot of good International schools in Kuwait. If you are moving with children we advise you to apply them to an international school 9 to 6 months before your international move. There might be a waiting list. The international movers partnering with Intlmovers are all highly reputable professionals. They are industry specialists from the world of shipping and logistics. Their experienced skills have a proven customer service record in the industry. They have expertise in both personal and business shipping. Enjoy a stress free move, and relax knowing that your shipment is being well managed throughout your international move. Take advantage of the extensive levels of international moving company professional experience. Enjoy Moving to Kuwait from USA! Receive up to six international moving quotes with one single request on Intlmovers. Make your decision making process so much easier! Even though you can receive up to six quote responses, remember that you are under no obligation to accept any of them. Take your time, and evaluate the responses that you have. Compare services, compare costs, and make sure that you are happy with the information that has been provided to you. Make your selection from there for your Moving to Kuwait from USA. When you use Intlmovers to compare quotes, it’s both cost free and obligation free!